Hi everyone! We're back with another Design Team Spotlight Series and we are featuring design team member GiGi McKellips from The Cricut Bug Blog. 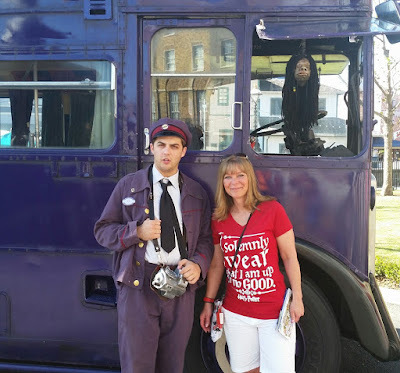 I am married with one boy that just graduated from college this spring. I am also a mom to 3 dogs, 2 of which are just 9 months old. They are A LOT of work LOL! I have been crafting my whole life. My mom is also very crafty so I am a jack of all trades when it comes to crafts. I can do almost everything, except knitting! I can do it, but to me, crocheting in easier. In the early 2000's I was given a scrapbook which started my love for paper. Then I attended a Stampin' Up party which sparked my love for cardmaking. I am a girl in a household with all boys. I LOVE to be able to make CUTE girly things. I also enjoy coloring, it is very calming for me. I don't sell my creations, never have. I usually either give them to family or use them personally. If I had to label my style, I would say "Cutesy CAS"
My SAT girls! I have been a SAT girl from the start and will always love them. They are so fun to color and they are SO CUTE! I usually color everything on my girls except for the clothes. Then I find an inspiration color scheme or paper that I want to use and color coordinate from there. What advice would you give to someone just starting out coloring images or cardmaking? My favorite changes with the seasons...I honestly can say that I have SO MANY favorites that I couldn't just list 1 name! My Sizzix Big Shot die cutter. I could not make my cards with out it and my dies. 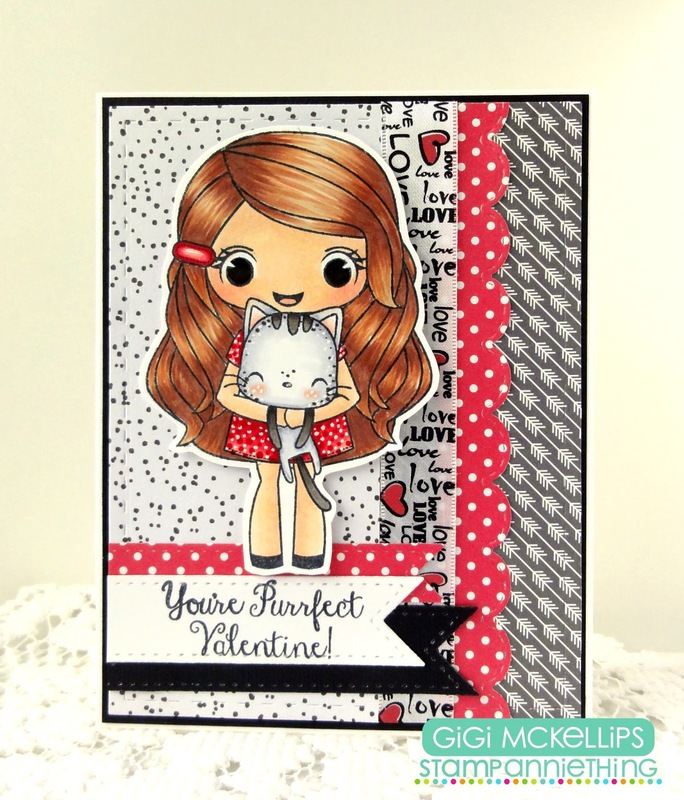 Here is the card I am sharing today using the Brittney Purr stamp set. I started this card with a standard A2 card base and added the background mats cut with the Jaded Blossom Card Mat Dies and Border Dies. 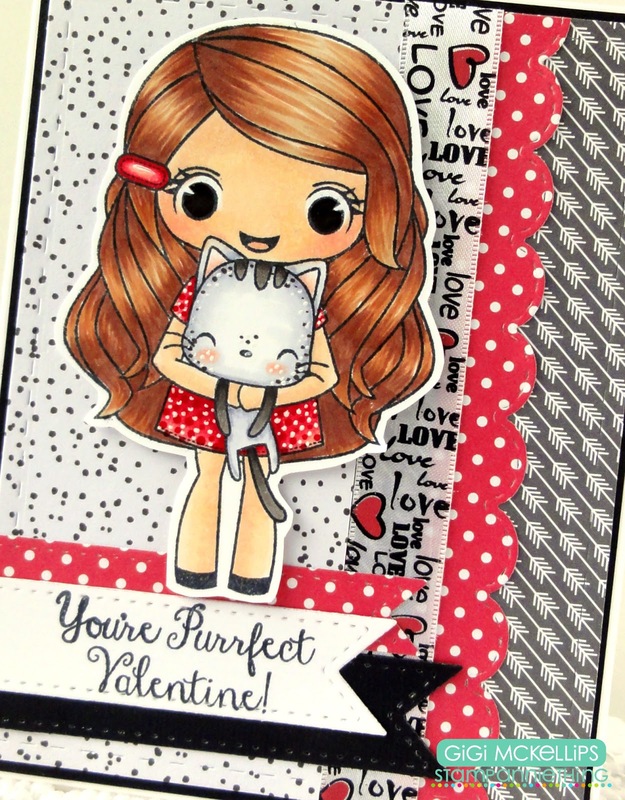 I stamped and colored Brittney with Copic Markers and pop dotted her to the card. To finish, I added some flag dies cut with the Card Layer Dies 1 and stamped the sentiment from the Foxy stamp set.